- Owned by Graham Wylie, Yorkhill is a son of Presenting who made an instant impact in the bumper division last term after arriving from his point-to-points, winning two out of two, a 2m2f race at Gowran Park and then seeing off Ok Corral in very good style at the Punchestown Festival. I see this horse probably as more of a Neptune type, but could easily have the speed for a Supreme. His pedigree suggests he'll be a horse who will act best on a sound surface. - Also in training in Closutton but this time owned by Gigginstown House Stud, Nambour arrives on the novice hurdling scene this season with quite a reputation in Ireland already. An easy winner of his 3m point-to-point at Dromahane, Nambour won his bumper at Punchestown in May by three lengths to sign off his season. I can't personally see this horse being fast enough for a Supreme, and wouldn't be surprised if he was an Albert Bartlett horse, but could also end up in the Neptune with Yorkhill seen as both are owned by different people. - A change from the battalions of Willie Mullins, I will be watching Disko closely this season. 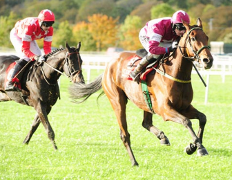 A facile winner of his bumper debut (fifteen lengths) at Punchestown, this horse took the step up to Grade 1 level in his stride when a good second to Bellshill at the Punchestown Festival, which was a very good run considering his racecourse experience. Hard to see where his future lies this year and what his targets could be but definitely one to follow. - A decent performer on the flat in France on her earlier days, winning three out of six, Limini beat a very good yardstick in Sandymount Duke on her hurdling debut at Punchestown in May, pointing herself out to the fans that she is indeed one to follow. It looks pretty obvious where he main target of the season will be, and that is the new novice hurdle for Mares that has just opened at the Cheltenham Festival in March, and will be interesting to see how good she is for the future considering she will probably run into Annie Power somewhere down the line. - Sizing Killarney, trained by Henry De Bromhead and owned by Mr and Mrs Potts, is a horse who is very high in my list of horses to follow this season. I remember scouting through the card at Cork and found him making his maiden hurdle debut, so I backed him thinking he would be a decent prospect considering his connections. He jumped, travelled, and won in a style which suggested to me he could be a top notcher. With Mullins' string it's very easy to put together a list of races for these novices as he goes for the same ones every year, but with De Bromhead it's very hard to predict, but wherever he goes he will sure have my support. - Castello Sforza is a horse who I remember watching win his Fairyhouse bumper in good style when going through the Tattersall's Ireland catalogue, and after talking with friends and seeing some talk on the web, he seems a horse who hasn't just caught my eye, and is very well regarded. Everyone will be looking at the Ricci horses, the Gigginstown horses and the Graham Wylie horses to pick out a Supreme, Neptune, Albert Bartlett horse this season, but for those not well educated on the flat game, Pearl Bloodstock is owned by the powerful Sheikh Fahad Al Thani, also owner of Qatar Racing who retain Andrea Atzeni, and I can see this horse being a Supreme dark horse. - After being bought by Rich Ricci after his five length PTP win in May last year, Pylonthepressure left quite an impression on the bumper division last season, running away with his first two starts in Thurles and Naas by an aggregate of fifteen lengths. He was well fancied in the Champion Bumper at Cheltenham before being withdrawn, and didn't run at all badly when fifth to Bellshill at the Punchestown Festival, beaten only six lengths. I think he has a big future now being campaigned over timber, and I can see him having a good season. - After a successful 3m point-to-point win, Petit Mouchoir made an instant impact in his first bumper, dismantling his field at the Punchestown Festival by upwards of six lengths. He is a big, imposing young horse who looks every inch a chaser (Yes, that old cliche again), and would probably appreciate a longer trip this year. He'll handle a bit of cut in the ground, and could see him being the perfect Albert Bartlett contender this year for Gigginstown and Willie. - Many of you might see Magic Mustard as a selection from left field, but I remember this horse making his debut at Uttoxeter in May, in a bumper where he finished eighth of twelve, with greenness getting the better of him as you'd expect. He travelled well that day I thought and think he will only improve for a longer trip. He is owned by a couple of friends of mine in the Magic Mustard Partnership and is highly thought of. He possesses a bit of a temper but he isn't short of talent and I think he could have a good season ahead of him this year with racecourse experience under his belt. He is in training with Charlie Longsdon this season and is from the sire of Champagne Fever, Hidden Cyclone, so hopefully this lad is on his own road to success. - Ice Cold Soul has a pedigree which gives him a reputation to be a success at the National Hunt game, as he is a full-brother to Grade 2 winner Outlander, who I think very highly of and that is what most attracts me to this fella. He is very smart horse in his own right too, running away with a point-to-point, winning by eight lengths, before moving on up to win two bumpers, though he lost his last racecourse appearance. He is in training with Noel Meade after being bought for 85,000 euros as a three-year-old, and will race in the high profile Gigginstown House Stud silks. - A consistent performer when trained by Philip Fenton in Ireland during his bumper campaign, beating Windsor Park and then finishing third in the Cheltenham Champion Bumper, he was moved to Dan Skelton to go over sticks in Britain. A very smart performer over hurdles, beating a decent yardstick in Foryourinformation by twenty-two lengths at Newbury, he then finished second to Ordo Ab Chao on Cheltenham Trials Day before stepping up to 3m in the Albert Bartlett at the Festival. He didn't run too badly that day in fifth, but maybe didn't quite stay out the trip. Chasing was always the long-term future with him, and he promises to be a very smart performer again this season. 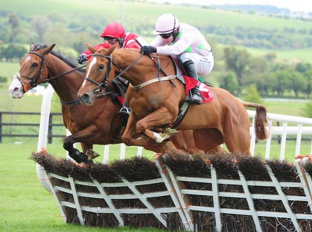 - Martello Tower was a horse I followed very closely over hurdles under the stewardship of Mags Mullins last season. Bar a fall in November, he has never finished outside the first two and has some great battles with Outlander, beating him over 3m but just going down to him over 2m4f. Went to Cheltenham in March with a huge chance in my view after some rain got into the ground, and he was incredible in a driving finish to the line in the Albert Bartlett, seeing off Milsean by half a length. Another horse who promises to be very good over larger obstacles, and I am pretty sure all being well, he will be an RSA horse come March. - Milsean had an incredibly consistent last term after three wins and a second in his bumper campaign the year before, winning a maiden hurdle but then had two disappointing efforts, being beat into second on those occasions, both at odds-on, but bounced right back to form when stepped up to 3m for the Albert Bartlett, finishing second to Martello Tower in an incredible effort from the front. He is a huge prospect now being aimed at the larger obstacles, and I think will only get better the further he goes, and can see him being the ideal National Hunt Chase horse over 4m. - After some experience in four-year-old hurdles in France, Douvan has maiden an instant impact on the jumps game in Britain and Ireland, winning all of his four starts. Winning his minor novice race at Gowran in November on his debut by twelve lengths from Sizing John, he beat Alpha Des Obeaux in Punchestown before hammering Shaneshill and Sizing John in the Supreme Novices Hurdle at Cheltenham. 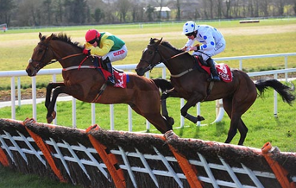 Went on to see off Sizing John again at Punchestown, and I think will be absolutely awesome this season over fences. He's a horse who travels with extreme ease, really grabs hold of the bridle, and has a fair engine on him. Initial idea would be to run him in the Arkle, but he wouldn't have any issues going up in trip and could easily win a JLT. - Kitten Rock is a horse I think is going to have a very good season over fences this season. He was nothing flash on the flat in his earlier days but has thrived over hurdles, with his best season to date definitely being last year, winning four in a row, including two Grade 3's and a Grade 2, improving with every single run, before a solid 6th in the Champion Hurdle behind Faugheen. Would have an excellent shout in an Arkle should everything go to plan with him, and I can see some very good tussles with Douvan over the coming season. - With only three starts under his name so far, Minella Rocco has the perfect unblemished record to go to war with this season. A runaway winner of his sole PTP start, giving a beating to the decent Taj Badalandabad before two further facile successes over hurdles, firstly at Kempton over 2m5f and then at Newbury over 2m4f. Missed his intended Cheltenham target unfortunately, but is a horse I am really looking forward to being unleashed over fences and remember A P McCoy saying he was one of the horses he was most regretting not getting to ride this season before retirement. - Since arriving at Nicky Henderson's yard from France last season, Vyta Du Roc hit the ground running with two impressive wins at Uttoxeter and Hexham, before taking a step up in class in his stride when winning a Grade 2 at Cheltenham after looking in danger down the hill, and then followed up in a Sandown Grade 2, holding on by a nose from Shantou Bob. That was the end of his winning run for the season, but he still ran some good races in defeat, losing to Parlour Games in the Challow Hurdle, who since boosted the form again, and bulldozed the last in the Neptune, losing all momentum, but stayed on in good style. Stepped up in trip for the Sefton at Aintree, he was tonked into second by Thistlecrack but is a horse who is sure to pick up a few decent pots along the way over fences this season. - A very easy winner of his maiden hurdle in Clonmel last season, Killultagh Vic had a consistent and progressive season, finishing second to Grade 1 winner L'Ami Serge at Ascot and Outlander at Leopardstown, his jumping improved a good bit when winning the Martin Pipe at the Cheltenham Festival, before stepping up to Grade 1 company and winning the 3m Novice Hurdle at Punchestown, progressing again. Another solid RSA horse this season should everything go to plan, and will improve for the longer trips. - Abbyssial has always been a horse I like a lot and has always proved why, being a very consistent horse over hurdles, including winning a Grade 1 at Punchestown last year readily, bar his last three runs, where he has had his problems and can therefore be excused. He has had a few injuries which has prevented him from getting into any sort of routine and hopefully he will make amends for that this season over fences. He is a beast of a horse and will benefit most from a front-running ride I'd say, which Mullins and Walsh are great at doing, so hopefully he will bring another interesting dimension to the novice chase division this season. - An out and out stayerin my view, Alpha Des Obeaux has never ran a bad race in his whole career. With just the seven starts under his belt, six under rules, he has ran two wins and four seconds, with one fall at Aintree when going well. Another horse who will suit a trip this year as I said above, and could maybe provide Milsean with some competition in the four-miler, who Gigginstown always like to have a representative in if they can. - Needs no introduction, never seen another rival in every single one of his racecourse and point-to-point appearances to date. Dual Grade 1 winner as a novice, he was a winner of the Coral, Christmas and Champion Hurdle on British soil last season as well as the Punchestown Champion Hurdle in May. Another superb season ahead of him, and will have his sights set on another Champion Hurdle I am sure of that. - Played paige boy a good few times last season, failing to win in seven starts but never out of the places. His finest runs included a third to Irving at Newcastle, a second and third behind Hurricane Fly in Leopardstown and two seconds to Faugheen in the blue riband at Cheltenham and then in Punchestown. Looked certain to land his first and well deserved win of the season in the Aintree Hurdle inbetween Cheltenham and Punchestown, travelling with effortless ease over 2m4f but took a tumbling fall at the last, leaving Jezki to score in splendid isolation. Has a huge season ahead of him this season, hope to see him get that big win. - Former Champion Hurdler, in great form again last season playing paige boy behind Hurricane Fly on more than one occasion in Leopardstown and also failed to beat him home in Cheltenham. Won the Aintree Hurdle before finally getting his revenge on Hurricane Fly on both of their first cracks at 3m in Punchestown. Future looks to be over staying trips now, and sure to have the World Hurdle at his big seasonal target, though he still has the speed to run over shorter. - Unfortunately failed to reach his full potential last season with a kissing spine, but still managed to pick up some nice pots at Haydock and Cheltenham, proving he still has plenty of potential. Couldn't handle the pace in the Champion Hurdle behind Faugheen due to his issues, and his chance in the Champion Hurdle looks to be over now. Hopefully he has made a full recovery and brings another interesting angle to the hurdling division this season. Think he will improve for a step up in trip, and can see his big target being the Aintree Hurdle, but might, just might, see connections have a go at 3m with him. - Since easily winning her bumper at Taunton in April 2014 under trainer Paul Nicholl's nephew, Harry Derham, Tara Point has thrived over hurdles and has been incredibly consistent. She landed her first win over timber at Exeter in November, winning as easy as she liked (fifteen lengths at this finish) before an excellent run in defeat behind Vyta Du Roc at Sandown in a Grade 2, being a persistent danger throughout and then getting back to winning ways in a Listed race at Taunton in December. Could do even better this season and a mare I am looking forward to following closely. - A top bumper performer a couple of seasons back, finishing second in Cheltenham's Champion Bumper before reversing the places with Silver Concorde in Punchestown, Shaneshill has made the transition to hurdles very seamlessly, winning a Grade 1 and then finishing second in two and third in the other, including the Supreme Novices' Hurdle. Didn't quite stay 3m I don't think in Punchestown, but worth another crack at the trip I'd say, and definitely has the speed for a Champion Hurdle, though beating Faugheen will be no easy task. - Very highly regarded last season by Willie Mullins and shown lots of promise when winning his maiden hurdle in facile fashion at Cork in November. His jumping was still leaving a little bit to be desired when second to Jollyallan at Kempton on Boxing Day, and failed to cut the mustard at Grade 1 level, twice well-beaten by Nichols Canyon. Won a Grade 2 in very good fashion at Punchestown though and on that evidence he could improve a bit this season and pick up a nice race or two somewhere down the line. - Arrived on the British Isles just in time for the Cheltenham Festival when purchased by John Hales for Paul Nicholls, this gorgeous grey gelding made a big impression when landing the Coral Cup on his debut under Sam Twiston-Davies. He looks a horse capable of much better and I reckon he'll pick up a pattern race somewhere this season, maybe improve into a nice Grade 1 horse. Sure to have a career over fences at some point in the future, too. - Formerly owned by Sue Magnier in Ballydoyle until April 2013, Windsor Park was sold to Dr Lambe for a dual-purpose career under Dermot Weld. In four runs over sticks, he has won twice, finished second once and finished fourth once, with his finest hour in the sun being when he impressively landed the Neptune at the Cheltenham Festival. Looks a horse who will only improve for a trip this year, and should get 3m in my opinion, making him a solid World Hurdle contender. - This horse first burst on the scene at Leopardstown's Christmas Festival last season when landing a maiden hurdle very impressively in rain softened ground under Paul Townend. He was then chucked straight into Grade 1 company and I personally backed him for the Neptune at 20's, but that didn't all go to plan when third to Nichols Canyon and Windsor Park in the Deloitte over 2m2f and was seventh of twelve and twenty-five lengths behind Douvan in the Supreme. Still capable of much better, and a horse I wouldn't quite give up on just yetnow going over fences. - Since arriving in Willie Mullins yard from France last season with consistent bumper and hurdles form already to her name, she was campaigned straight off over fences and has been absolutely devastating in five starts so far, with a combined winning aggregate of sixty-one lengths, showing just why she is a force to be reckoned with this season. The way she put Elsie to bed in Thurles no words could really describe how impressive she was that day, and I think she has the ability and the class to mix with the boys this season and I'll be very shocked if she isn't apart of Willie Mullin's battalion heading to Cheltenham in March. - In my opinion the best horse Willie Mullins has ever trained. Vautour was pretty bang average in France before Rich Ricci bought him for a career in Ireland. He finished his first season a multiple Grade 1 winner with him landing his big seasonal target, the Supreme Novices' Hurdle. Something had to give with Vautour and Faugheen both unbeaten over hurdles, so off Vautour went into the chasing ranks. Foot perfect on his chase debut in Navan, things didn't go to plan next up in Leopardstown when there was definitely something up, but made amends in a Grade 2 when getting himself geared up for the Festival. Rumours were going round that he wasn't working very well but he put all those doubters to bed with a performance that I have never seen before at the Cheltenham Festival, dotting up by fifteen lengths. Looks to be even better going into open company this season, and really hope connections go for the King George with him. - A smart hurdler in his earlier days, Saphir Du Rheu embarked on a new challenge in the early part of last season, going novice chasing. He tipped up on his first start but quickly made up for that a week later in Exeter. He was stepped up to Grade 1 company for the Feltham on Boxing Day where he again fell, so connections were forced to make a decision and that was to go back over hurdles to boost his confidence jumping again. He won the Cleeve Hurdle at Cheltenham before finishing second in the World Hurdle at the Festival, and then went back chasing at Aintree where he absolutely demolished his field in spectacular fashion. If he can keep his balance over fences this season he has a huge year ahead of him, and promises to be a danger to Vautour in the King George should we get to see that. - Ma Filleule is a ultra-consistent chaser I have always had a lot of time for. She first set her marker on the chasing division when absolutely hosing in at Aintree in the Topham over the Grand National fences in 2014, putting in a Grade 1 winning performance, so she was subsequently and rightly so campaigned in all the top races this past season. Fifth to Road To Riches in Down Royal, she was then third at Aintree, second in Ascot to Balder Succes and then second to Uxizandre at the Festival. She had her excuses when seventh at Aintree in the Betfred Bowl behind Conti over 3m, and I think over her optimum this year, she should have one last productive season before becoming a broodmare. - A beautiful grey gelding I have always had a lot of time for. The first time I really noticed Dynaste was when he was a runaway winner of the 3m Feltham Novices' at Kempton a couple of years ago. He was the Ryanair Chase winner in 2014 over 2m4f and was second in the King George right at the end of the year. I have always thought he would be better over 3m, but any further really stretches him and with a good break since injury now behind him, I hope to see him back to his best and winning Grade 1's over 2m4f-3m, with the Ryanair Chase again sure to be his big seasonal objective all being well. - Useful enoguh over hurdles a couple of seasons ago when in the shadows of Faugheen, Valseur Lido has thrived over fences this past season just gone. He won the Grade 1 Drinmore early on before losing out to Apache Stronghold (who I also recommend you follow this year) not in the Flogas Novices. I was really expecting him to go for the RSA over the extended 3m at the Festival but instead finished third in the JLT, behind Vautour and again Apache Stronghold. 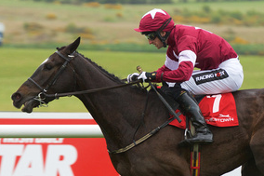 He proved exactly why I thought he'd go for the RSA when finally stepped up to 3m at Punchestown, showing a very good turn of foot to beat the odds-on favourite and RSA winner Don Poli. Definitely one being forgotten about this season in regards to the Cheltenham Gold Cup should Gigginstown want to run him with Don Poli and Road To Riches. - One of the laziest horses I have ever seen. Don Poli was a smart hurdler earlier on in his career but was always destined to do better over fences, despite his sires poor record with chasers. 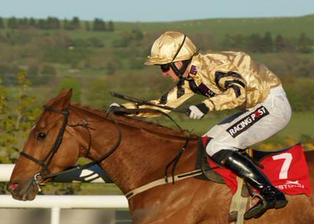 He started his chasing career with a Beginners Chase in Gowran before being thrown straight into Grade 1 company. He took in this stride outstaying Apache Stronghold to win the Topaz and followed up with the RSA at Cheltenham, where he was incredibly lazy and had the alarm bells ringing early on the second circuit, but really stayed on up the hill at the end to win by six lengths. I still don't know really what happened in Punchestown when last to Valseur Lido but his racing style will sure help him in his Gold Cup quest this season should he bounce back, which we are all expecting him to. Incredibly exciting horse to look forward to that is clear as day. - Don Cossack has to be one of the most beautiful looking horses in training if not the most beautiful. He was very immature in his novice chasing days, not jumping fluently enough to be successful which was quite disappointing really. He has really grown up this past season though and Gordon Elliott has worked wonders with him on his jumping, which has been spectacular, winning the John Durkan and Kinloch Brae in Ireland early doors, before a third to Uxizandre at Cheltenham, a course he isn't at his best around clearly, but was absolutely sensational at Aintree in the Melling Chase, winning by 26 lengths and fittingly giving A P McCoy his final Grade 1 winner as a jockey, who didn't have to move a muscle. We all thought Gordon Elliott was mad to run Don Cossack in the Punchestown Gold Cup just under three weeks later, but he shut us all up when he won that as well! Could prove to be an absolute monster this year and I am really looking forward to seeing him again and I am sure I am not the only one. - Al Ferof is a horse I have always followed closely. He's had so many problems stopping him from fulfilling his potential but he is still a Grade 1 winner over hurdles and fences. Twice third in the King George for Paul Nicholls also, his owner John Hales felt a change of scenery may help him this year and therefore will race for Dan Skelton, Paul Nicholl's former assistant who knows the horse well. No doubt he will probably go for a third Amlin 1965 Chase at Ascot in a row to get his season kickstarted but it'll be interesting to see how differently Dan Skelton campaigns him and hopefully the change of scenery will get us to see a better Al Ferof in seasons to come. - My final selection of my ten chasers to follow this season. A decent hurdler in his earlier days, bar one fall over fences he is yet to lose a race, and he deservedly bagged his Grade 1 in Aintree in April in a style that suggested to me he has many more performances where that came on in future and Henry De Bromhead is really good at campaigning his chasers in particular. It's still very early day to say he is the next Sizing Europe, but he is definitely on the right path to that tag and I am eagerly looking forward to seeing him move into open company this upcoming season. What a remarkable chasing division we have in our arsenal this season. - Bought for 150,000 euros last year by Aiden Murphy on behalf of JP McManus, Bon Papa is an unraced French recruit by Network out of Gibelotte who is sure to carry a lofty reputation whichever path he goes down this season due to his big connections. - Bought at the Tattersalls Derby Sale in June with an impressive point-to-point victory to his name, Jack The Wire won his bumper debut in the style of a very good horse in Tipperary, dispensing of another smart rival in Knocknanuss. That win came after the Punchestown Festival which marks the start of a new season and can therefore race again in bumpers this year. A hot prospect for the future and one to keep an eye on. - Trained by the master of French jump racing Guillaume Macaire, Device has done extremely well in his three-year-old hurdle races, finishing second on debut but has won his last three by three, six and two and a half lengths in that order. Bound to land on British or Irish soil at some point in his career, and is one we should all be keeping our eyes on. - Made an instant impression on the National Hunt game when winning by seven lengths on his sole point-to-point start in March of this year. Sold privately to Andrea and Graham Wylie subsequently, will go into training with Willie Mullins. - Another French youngster who is building quite a reputation for himself, but this time trained by Francois Nicolle. The daughter of Soldier Of Fortune won her three-year-old hurdle debut with a five length success in Auteuil, before finishing second to Caresse D'Estruval stepped up in trip and then turned the tables on that rival later on in the month, closing out her season with an easy four length win. - Another unraced French recruit purchased privately by JP McManus, Well Taken is by Presenting, a well-known sire on these shores with a high percentage of success, and is out of Blu Louisiana who is a half-sister to Grade 1 winning bumper and dual Grade 1 winning hurdler, Dunguib. - Also trained in France by Guillaume Macaire, this gelding is another son of Network to be purchased by JP McManus. Blazer won his sole three-year-old hurdle start in France back in February, so he already has a head start coming over to Ireland, and again like Well Taken and Bon Papa, they already have lofty reputations to live up to. - Purchased at Cheltenham's Brightwells Premier National Hunt Sale for £95,000 by Noel Meade, Black Ace has just one PTP start to his name so far. The son of Yeats finished second over 3m to a nice son of Beneficial out of a Supreme Leader mare and is sure to build on that experience this term. Yeats has a good record with his bumper horses and this one looks another nice sort in the making, so I'm looking forward to seeing him back on the track. - Withdrawn at the Cheltenham Brightwells Premier National Hunt Sale in May, Thumb Stone Blues has rocked up in Ireland to be trained by J R Barry. This son of High Chaparral won his bumper debut in Kilbeggan in May but ran into a nice bumper performer from the Willie Mullins stable, Fugi Mountain, at the Galway Festival last month and has a bright future ahead of him. - Another horse to be purchased out of Cheltenham's Brightwell Sale in May, Monbeg Notorious commanded a big fee of £155,000 and went to Gordon Elliott after catching the eye in his five length point-to-point win just five days previous in Tralee. All the signs seem to be good about this horse, and is therefore one to keep on side in bumpers this coming season.